Maggie is the Founder/Owner and Lead Instructor for Homeland Personal Protection Firearms Training. Her training is geared towards defensive shooting to defend against a potential lethal threat here in our Homeland, USA. 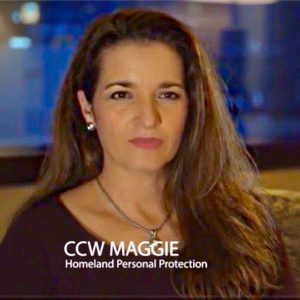 As a female firearms instructor teaching the Certification Course for Multi-State Conceal Carry Weapon Permits, Maggie is known in the industry as CCW Maggie. 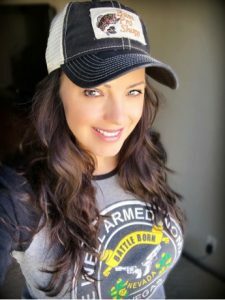 Maggie is a Wife to a very supportive husband of (10) years, a Mom of (2) beautiful children and is a Woman who understands the importance of self-defense as a fundamental right. In 2009 Maggie began her career by obtaining all the requirements necessary to become a CCW/CFP instructor which were the NRA Instructor ratings. For the initial two years, she offered the CCW/CFP courses with a few fundamental firearms training classes. With a great response from the community and student base following, Maggie taught and invested far more than the requirements necessary to become a NRA Training Counselor. In 2014 Maggie obtained her TC rating and has been teaching the NRA curriculums for students and instructor candidates to become certified. Not only is self-defense a way of life for Maggie, it is also a passion. Maggie has found, there is much more to being a defense instructor than taking an NRA class, she lives with the philosophy “To be a great instructor, you have to be a great student”. Maggie has always felt she could better serve the community by teaching life-saving skills rather than competition or recreational shooting. Over the past 7 years, Maggie has had a steady diet of defensive education and training and she has offered her services to well over 6000 students. 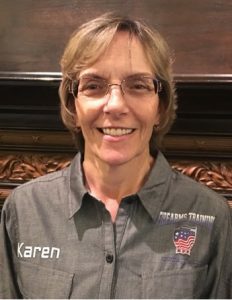 In delivering the training materials for Multi-State CCW Permits, she feels the Firearms Possession Laws and Self Defense Laws are a critical portion of the courses in addition to the topics of Use of Deadly Force, the Force Continuum and Criminal & Civil Liability. When you take a training course with Maggie, you will often hear her say “Self-Defense isn’t just a right, it is also a Responsibility” meaning you have the responsibility to yourself to defend and protect yourself as well as having greater responsibility to avoid a confrontation if possible. There is so much more to know about carrying a firearm in public for self-defense than what can be taught in an 8 hour CCW course. Maggie takes training seriously. She has stated, “There are times that I may be the one and only exposure for students to learn to defend themselves” and “Students may attend only one training course for various reasons and I want to deliver the very best information and training possible and I always encourage ongoing skill development and evaluation. 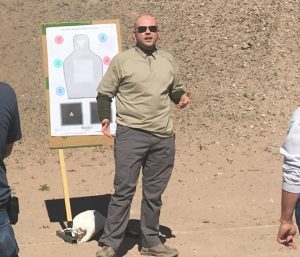 In her opinion, taking a CCW Course is important, yet additional Counter Ambush Methodology and developing Intuitive Learned Responses are critical to your survival and has created a training program to support all shooters regardless of experience. 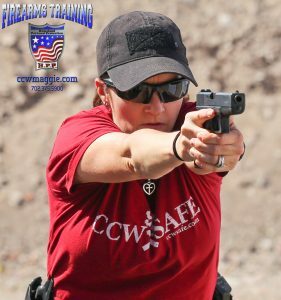 Maggie offers Defensive Firearm Training Courses as a Certified DFC – Defensive Firearms Coach through I.C.E. Training’s DFC Program which is powered by CFS – Combat Focus Shooting. She is now laser focused on being vetted as a Certified/Active CFS Instructor. Maggie has taken training from several schools and instructors and feels the CFS Program has answered the technical “WHY” questions where other programs failed to. 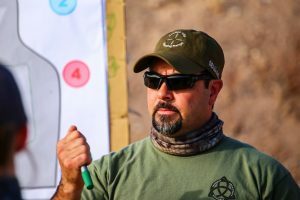 Maggie feels the CFS program is “The Program” that offers a realistic approach to defensive shooting based on science, physics, human performance factors and imperical evidence. Maggie is committed to having her students take away so much more than a plastic card that allows a person to Carry a Concealed Firearm. Her desire is that students develop personal skills through her instruction that may potentially save their lives or the life of a loved one. Maggie currently offers several different training courses to civilians, law enforcement and our military. Her most distinguished accomplishment to date was working with and training our great Marines at Camp Pendleton’s Edson Range in CA. Maggie is the first female non-military commissioned Instructor to train at Camp Pendleton making it a Life Changing event to always remember. A sign that the training was a success was when she was invited to bring her programs back to the base.